RAS KARKAR: Israeli security forces fired tear gas and rubber bullets on Friday at rock-throwing Palestinians protesting against land seizures for Jewish settlements in the occupied West Bank, among the disputes stalling peace efforts. 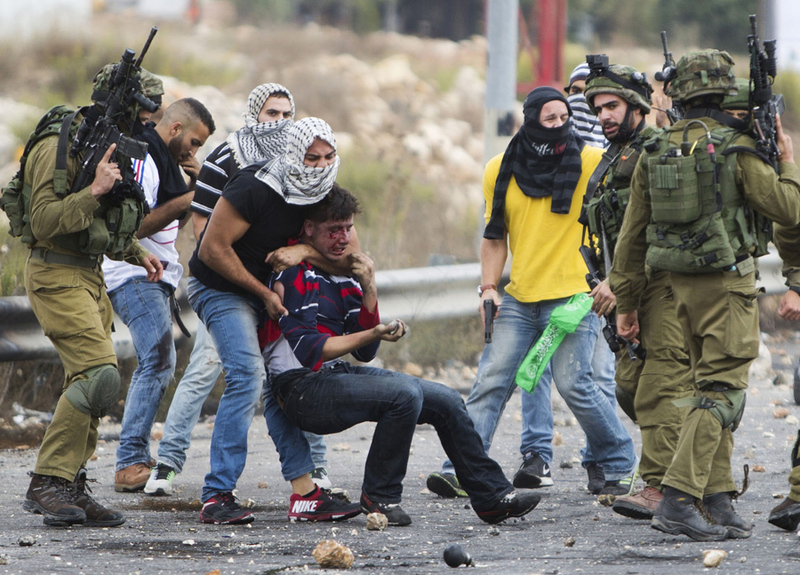 Around a dozen of the hundreds of Palestinians gathered in the village of Ras Karkar were injured, witnesses said. An Israeli police spokesman had no immediate comment. An Israeli court broke new judicial ground on Tuesday by giving legal recognition to a Jewish settlement built without Israeli government authorization on privately owned Palestinian land. Most countries consider all of the settlements built on land that Israel captured in the 1967 Middle East war to be illegal. Israel disputes this. Some 500,000 Israelis live in the West Bank and East Jerusalem, areas that are also home to more than 2.6 million Palestinians. Palestinians say rapid settlement expansion in recent years could deny them a viable and contiguous state. The other Palestinian territory, Gaza, was largely quiet on Friday despite expected border demonstrations, a weekly event in the Islamist Hamas-controlled enclave since March 30. Israel has killed most than 170 Palestinians during the Gaza protests, in what it called an effort to thwart breaches of the fortified frontier. Israel withdrew settlers and soldiers from Gaza in 2005. The last round of Israeli-Palestinian peace talks collapsed in 2014.